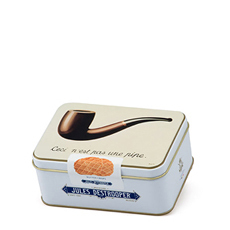 Surprise your friends with the ultimate gift idea for Belgian beer and chocolate aficionados. Award-winning Brugse Zot Blond beer is brewed right in the heart of Bruges, Belgium. This historic blonde beer is brewed according to a traditional yet unique recipe giving it a fruity, spicy bouquet with hints of citrus. ChocOBeer is a one-of-a-kind beer-filled chocolate. 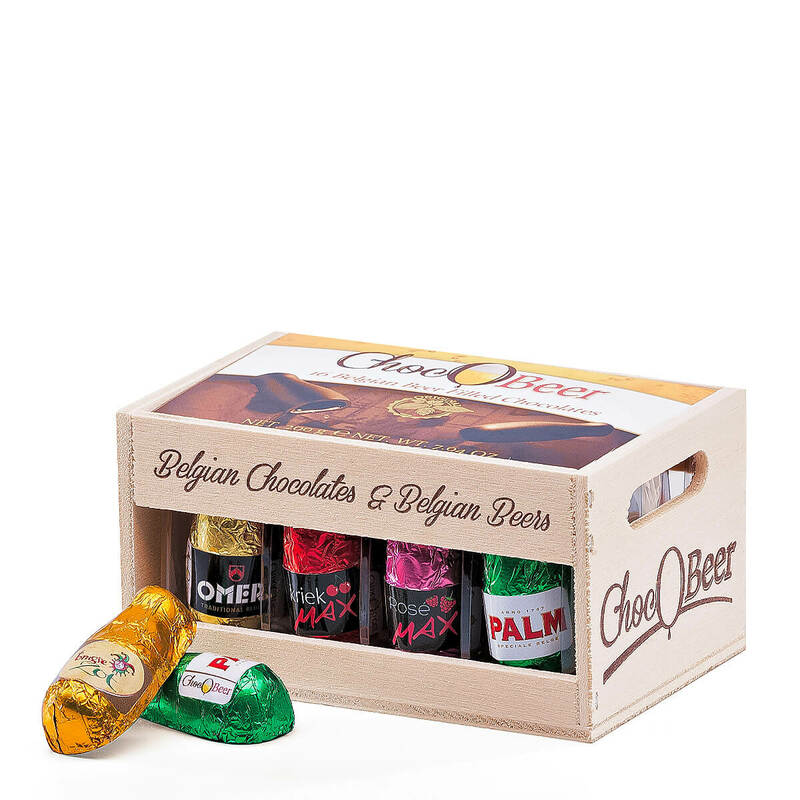 Rich Belgian chocolate shaped like little beer bottles is filled with authentic Belgian beers by Palm, De Halve Maan, and Bockor. 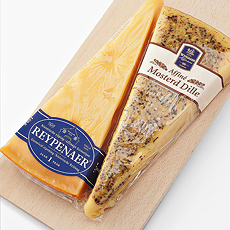 Beer flavors include Kriek, Flanders Red Brown, traditional blonde, and more. Sixteen beer-filled chocolates are presented in a wooden crate modeled after the traditional Belgian beer crate. A truly memorable beer and chocolate gift! 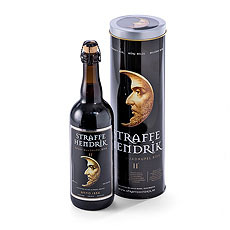 Ingredients: Sugar, chocolate (28%) (cocoa liquor, sugar, cocoabutter, fat-reduced cocoapowder, emulsifier : soy-lecithin, natural vanilla flavor), water, beer (5%) (contains wheat, barley): Palm, Brugse Zot, Rodenbach Grand Cru, Omer, Kriek Max, Rosé Max.